My friend surprised me with some great chocolate the other day and I decided to make a favorite confectionery of mine – buckeye candy. With only cashews in the pantry, I thought about cashews instead of the traditional peanuts. Although about 2% of the population will have an allergic reaction to peanuts, they may or may not be allergic to other nuts. 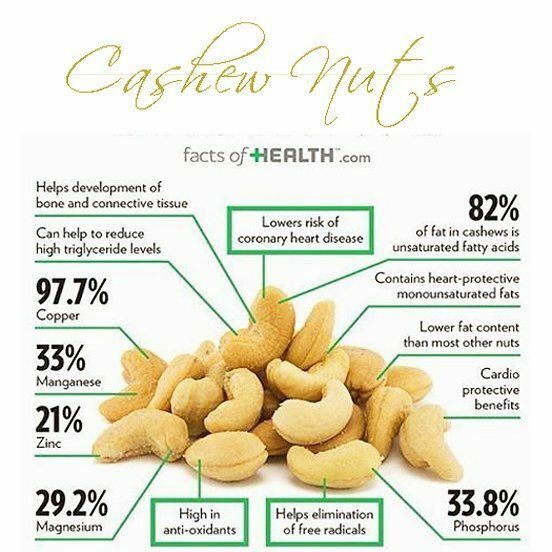 Remember, a cashew is a tree nut not a ground nut – like the peanut. Why “BUCKEYE”? 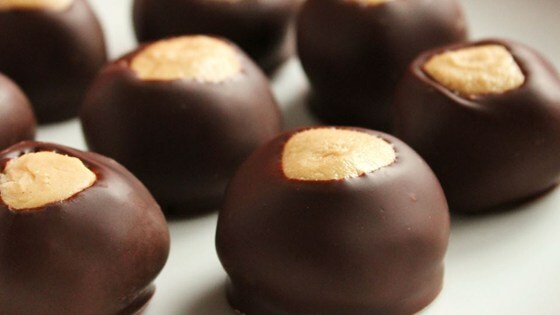 Buckeye candy is named after the shiny, dark nuts from the Buckeye Tree – the official state tree for Ohio. The Ohio General Assembly made its declaration in 1952 that “BUCKEYE BALLS” were officially the state’s candy since they resembled the nut of the state tree of OHIO. Not to be confused with chestnuts. Although they look similar. 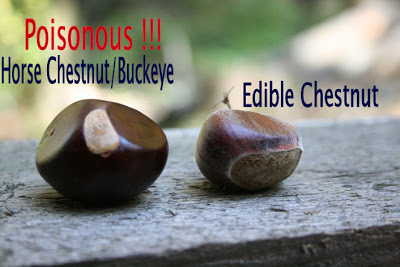 You can not eat a buckeye nut because it’s poisonous. But, you can eat the confectionery version. 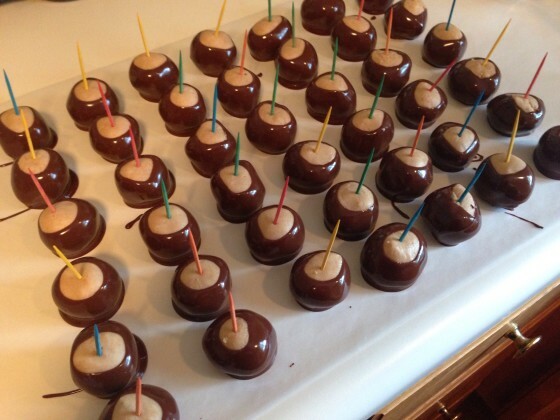 You’ll find buckeye balls at Ohio’s college football games : Ohio State Buckeyes. The other good news is that chocolate is known to release endorphins, so that may help reduce heart rates during a football game. 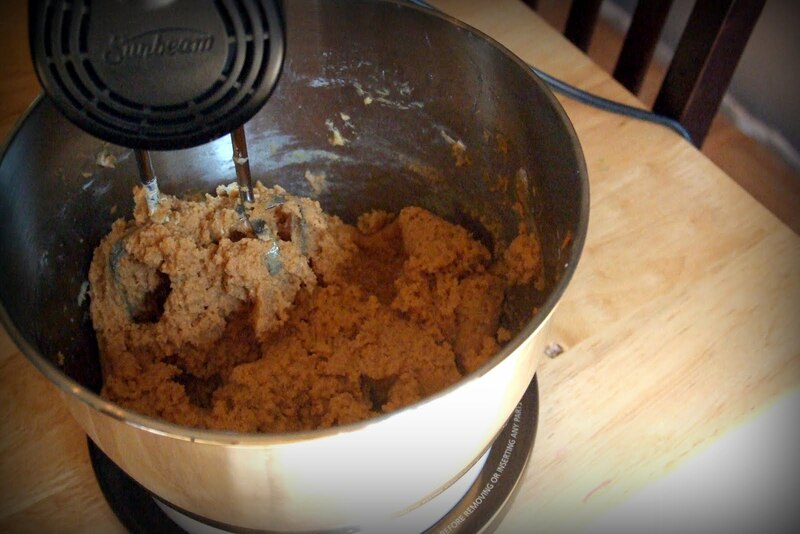 Place cashews in a food processor and run on high until smooth, like peanut butter. This can take about 5 minutes. Add all of the other ingredients and process on high until well combined. Roll batter into small balls and dip into melted chocolate until almost but not completely covered. To do this, pierce the ball with a tooth pick and dip in the chocolate. Place on parchment and allow to set hard. DID YOU KNOW? This recipe is free of: Milk, Peanut, Egg, Soy, Gluten, Wheat, Fish, Shellfish and Sesame. Let’s not forget the six healthy benefits of chocolate. 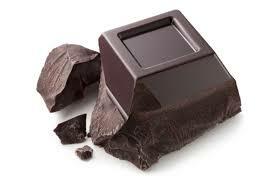 Dark chocolate is also free of the eight most common allergens. FOOD TIP: You can use sunflower seeds as a substitute for the cashews. Sunflower seeds are very tasty. Grated fresh ginger is a good substitute for turmeric for adults. Children are sensitive to strong spices. You can leave out the turmeric for your kids. Instead of turmeric substitute different flavours or spices. Take a tablespoon of the mixture ( without the turmeric ) and add some flavours ( e.g. coconut, butter extract) or spices (e.g. cinnamon, coriander ) ~ to see if you like it. Experiment with it. Since EASTER is upon us, shape your cashew balls like an egg. 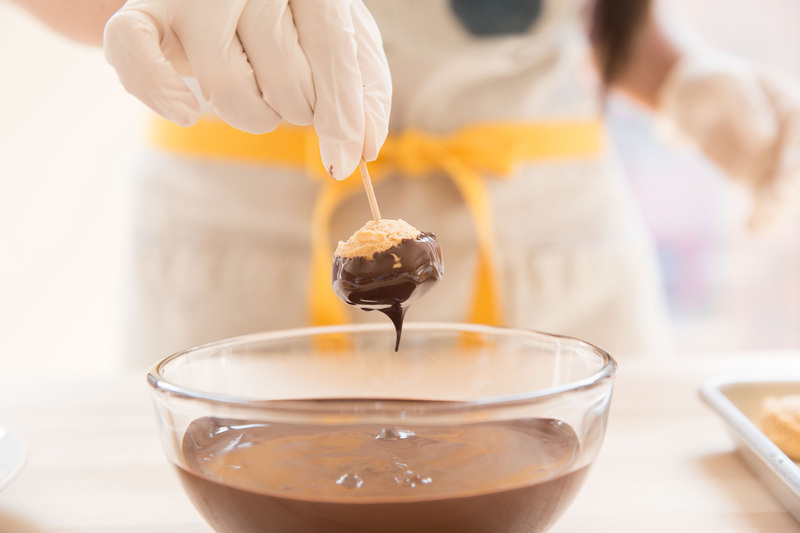 Dip the egg shape in the chocolate. 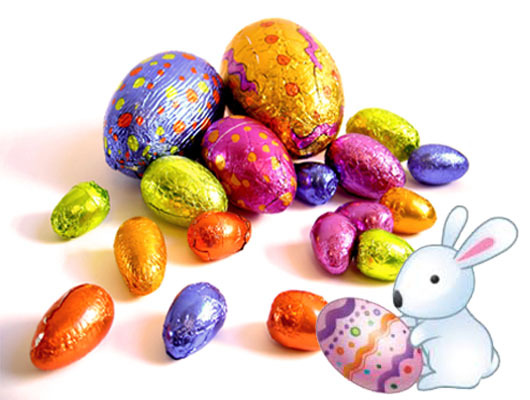 After cooling, wrap the egg with coloured foil. METHOD: The egg shape is punctured with a toothpick on one end ~ dipped ~ then –>stick into a piece of potato or styrofoam on the other end to hold up the egg while hardening. 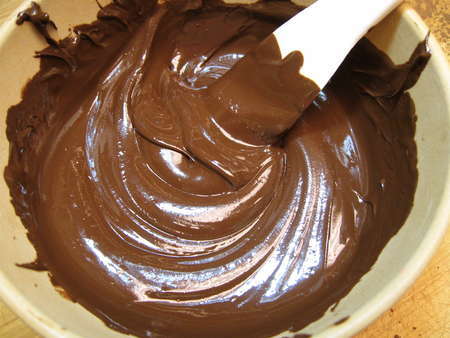 You can always sparsely sprinkle coarse salt on the dipped chocolate for added zip. Another final dip -> into chia seeds (optional). The eyes on the candy “faces” (pictured below) are made by dipping 3 toothpicks (held together) into white chocolate and applying the drops on the ball. (or use sugar free white tic tacs). Do the same with one tooth pick dipped in dark chocolate for the brown dot inside the eye. Test on a paper towel to get the right amount. HALLOWEEN: Pretzel bits make great spider legs for added Halloween fun. 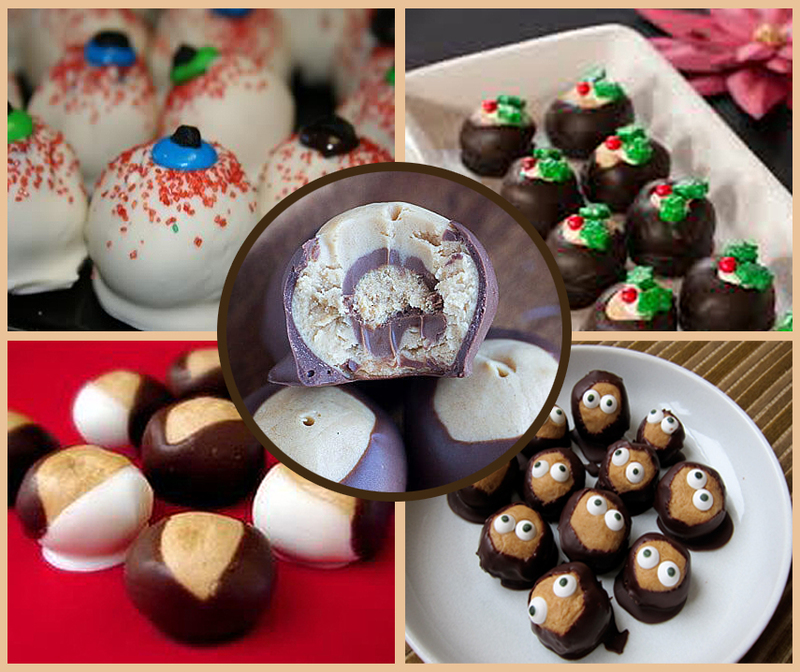 You can make your buckeyes fit any season. Photo courtesy of the purple almond.